Chicago, IL – Metro Chicago Exports and Cook County announce the launch of the ExporTech, a nationally recognized program to help small- and mid-sized manufacturers in Chicago’s Southland boost their sales through exports. “Cook County is introducing the ExporTech program in Chicago’s Southland because it represents a tested method to spur economic growth and help create jobs.” said, Cook County President Toni Preckwinkle. The big question facing many businesses today is, “Where is your next customer going to come from?” and the ExporTech program helps businesses answer that question.” explained Tom Hulseman, Executive Director, Chicago Regional Growth Corporation. 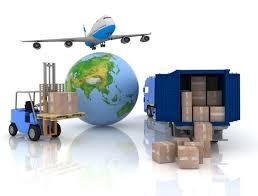 ExporTech provides companies with a systematic process for entering or expanding in global markets and connects them with the best international business experts in the region. The program assists participants in developing a peer-reviewed export growth plan in approximately 12 weeks, quickly moving them from planning to executing export sales. This hands-on, content rich program involves a unique combination of innovative group sessions and customized market research individualized coaching that takes place over three, day-long training sessions. Normally this unique program costs $5000, but will be offered for $750 for qualified companies located in Chicago’s Southland. In addition to Metro Chicago Exports, ExporTech planning partners include Illinois Manufacturing Excellence Center (IMEC) and IMEC’s federal partner, NIST/MEP, the U.S. Commercial Service, Small Business Development Centers of Illinois, Cook County, Chicago Southland Economic Development Corporation, Calumet Area Industrial Council and Chicago Metro Metal Consortium. For more information visit, Metro Chicago Exports. Metro Chicago Exports is a program of the newly-formed economic development organization, the Chicago Regional Growth Corporation. For more information, contact Lisa Reijula, Metro Chicago Exports, (312) 589-5773, lreijula@metrochicagoexports.com.